A man is confronted by an enormous hand holding the Iron Cross. Poster Text: 'FOR ALL THAT CARELESS / TALK - THANKS!' 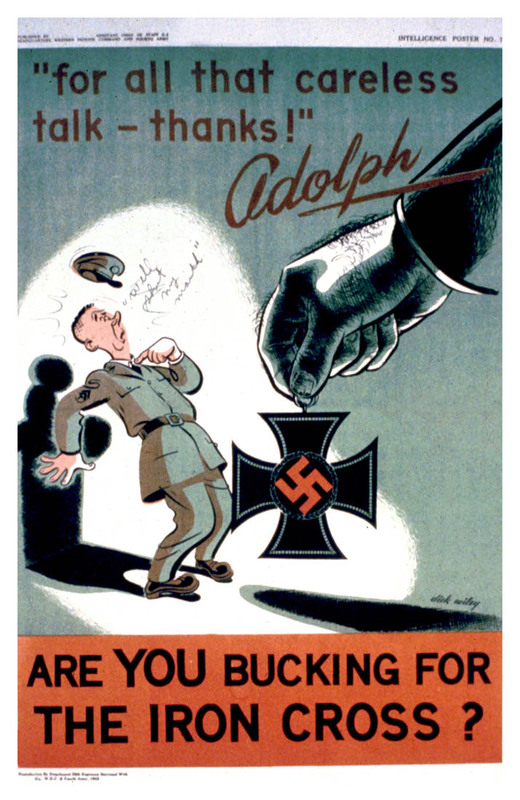 / ADOLPH / ARE YOU BUCKING FOR / THE IRON CROSS?